The other night I was looking out my window at the light snowstorm cascading onto Ottawa, after dealing with freezing rain and power outages, and trying very hard not to wonder what the world is going to look like in fifty years. I mean, we all ponder it sometimes, right? Maybe half the planet is underwater. Maybe we’ve developed solid, widespread renewables. Maybe we’re making plans to go somewhere else. Maybe we’ve moved everyone into skyscrapers like Kim Stanley Robinson suggests, to let nature rebuild? On top of that, Robson gives us an octogenarian protagonist, Minh, who struggles with anything that isn’t done “her way” and is balanced with a youthful counterpart who’s just as stubborn and determined to succeed. 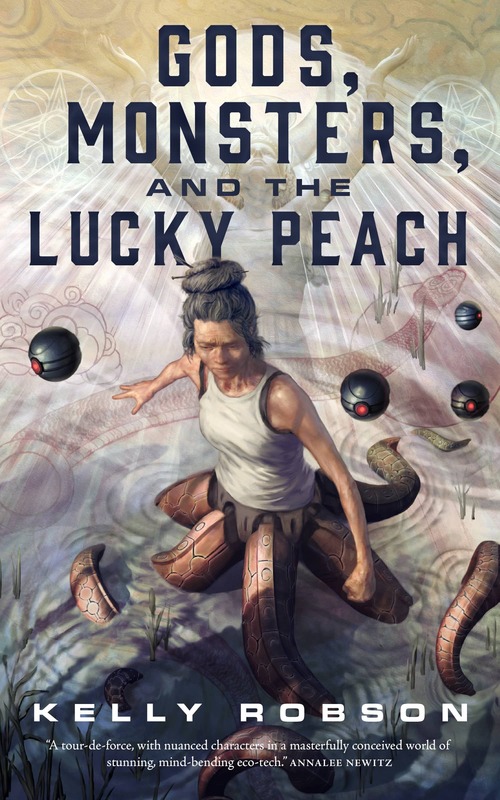 There’s no preachiness about age in either direction, though; instead, the story hinges on Minh realizing things about herself and working with a team, as they face the very real dangers of 2024 BCE. That overlap between past and future is where the truly excellent tension-building presents itself, as the story jumps between Minh and her team preparing for their journey and the perspective of a Mesopotamian king, Shulgi, whose people are troubled by new stars and bizarre monsters. Knowing that the latter is obviously a bunch of time travelers and that things are going to horribly wrong is only half the fun; the rest is when the two timelines sink up, and you realize exactly where Minh and her team fit into Shulgi’s story. 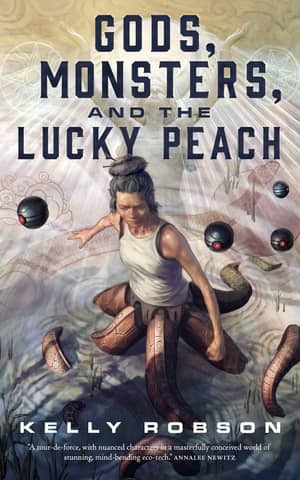 Essentially, if you’re looking for fabulous SF with an ecofiction slant, check this one out. A word of caution: don’t make my mistake and forget that this is a novella, not a novel. As Robson reminded me when I (maybe) gave her hell after finishing Lucky Peach, you won’t find everything squared away by the time you reach the end. But don’t worry; the questions you’ll still have at the end are just one more mark of an excellent tale that’s worth reading. And then if you’re like me, you’ll have your fingers crossed for a sequel.